At one point in our life we might be faced with a tough decision to place our elderly parents or a relative into an assisted living, nursing home, senior living, elderly care facility, etc… Just the thought of it could bring up feelings of guilt. The conversation alone could bring up feelings of abandonment. The truth is, placing an elderly parent into a home could the most loving act a child could do. There are special considerations and unique methods of initiating conversation with your loved one. They can suddenly feel like a burden to you or have feelings of abandonment. They may deny they need assistance or simply refuse help. 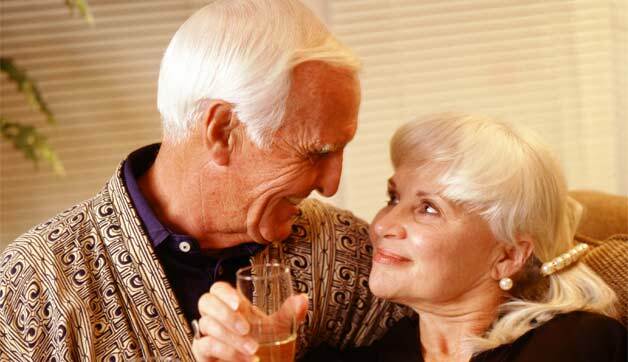 You will need assistance from the professionals at the care facility when the time is right. Unfortunately, more often than not things have to get worse before they get better. Falling down and needing immediate medical care, forgetting to pay a light bill could result in having their electricity shut off, or even worse, a home invasion. Be aware that you may have feelings that vary from other family members that are attached to this decision. Think it through and be sure to recognize others opinions and concerns. Take it one step at a time and plan carefully. Giving other family members time to react to this decision and address their concerns. Some people are better at negotiating or may have greater patience for this type of thing. Often it is better to involve more members of the family. Absolutely do not make false promises such as, “You can come back if you don’t like it”. Speak calmly and truthfully. Explain in practical terms and why it’s the proper decision. You want them to feel safe and well cared for. It is not advisable to tell them “It will be easier on the family”. Reassure them that you will continue to be actively involved in their life and follow up with it. If you continue to see each other on a regular schedule it will help them to feel they are still connected to the family and are still important to you. Allow them to be a huge part in the decision making. You could visit many locations and get a tour of each facility. Take notes of the comments and concerns brought up by them. You could even consider arriving at lunch time and enjoy lunch together. You will all get a better feel for the atmosphere when everyone is grouped together. Flat Rate Quotes – Prices are not based on time. No matter how long it takes our movers, your Flat Rate moving quote won’t change. Your price will be as accurate as your inventory list and moving conditions. We also offer low competitive Hourly Rates quotes. Discuss the many drastic changes that will affect his / her daily routines such as cooking meals, possibly changing doctors, or even their hair dresser. Preparing by downsizing personal belongings. They will have limited space and you don’t want them to be overwhelmed and crowded in their new place. They do not move as fast as they used to mentally or physically so give them plenty of time to adjust and prepare for sorting through belongings. Once you have decided on location make several visits with them . Allow them to mingle with other residence, meeting the staff and touring around will help to comfort them. It will help them mentally prepare for the move and possibly get them exited and give them something to look forward to. Assist them sort and pack over a period of time that is comfortable for them. Start with simple rooms such as bathrooms or guest bedrooms and work your way up to the more difficult rooms with family photos and heirlooms. This can be a very emotional process for them so be patient. If they are capable, it is best to allow them to decide what sentimental items are going. You could suggest alternatives such as giving the extra items to other family members. Keep in mind that sentimental items such as family photos may be necessary to their comfort. Keeping in touch with your movers well in advance is highly recommended. Try choosing a comfortable day for moving. Weekends, peak days and Holidays are not recommended as the movers may be on a tight schedule and won’t have the extra time for small chit chat. If your move involves hospital beds, oxygen tanks, medical supplies, etc. you will want to coordinate the pick-up and delivery of these items to sync with your moving date. It would be recommended to have them delivered before or after your move on the same day but not together. Take time to explain – Moving day will get stressful for the elderly as they have less control over the events that are taking place. Let them know what time the movers will arrive for packing, moving, etc. Medications – Keep medications with you. The last thing you want to do is go searching through packed boxes for medications you will need right away. Use an overnight bag for such items and be sure to instruct the movers of items that do not go. Get plenty of rest – Moving day will take a lot of mental energy. Plan far enough ahead that you can quit early the day before so everyone can get a good night rest. Introduction – Be sure to introduce your elderly loved one to your movers by name. This will help them to feel a part of the process. Alert your movers – Be sure to alert your movers of any special items and anything of sentimental value. The movers will care for his/her belongings but it might be reassuring to your elderly loved one if you point out special items. No lifting – Older adults are at greater risk for injury and should not be allowed to lift items. It is natural for them to feel needed and may have a natural desire to pitch in a little with lifting a box or chair, lamp, etc. The movers are there to move you, let them assist you in completing your move safely. After all, that’s why you hired the professionals.